You know that eating fruit and vegetables is good for your health and wellbeing. Obviously replacing soft drinks and alcohol with water and green tea is not impossible. Getting sufficient sleep is a pillar of optimal health. And with the right coaching, lifting weights and including moderate-intensity workouts to your exercise regime is not that overwhelming. Like I said, you are really smart. You know that doing all of the above aren’t that difficult. What is difficult is trying to do all those things at once. The only way you’ll form long lasting habits is by applying the Power of Less: focus on one habit at a time, one month at a time, so that you’ll be able to focus all your energy on creating that one habit. Select one habit – only one habit per month. You can choose any habit; whatever you think will have the biggest impact on your life. Write down your plan. You will need to specifically state what your goal will be each day, when you’ll do it, what your ‘trigger’ will be (Immediately go for a 60 minute walk when you get home from work), who you will report to. According to Babauta, when only one habit is adopted per month, success rates can be as high as 80%. 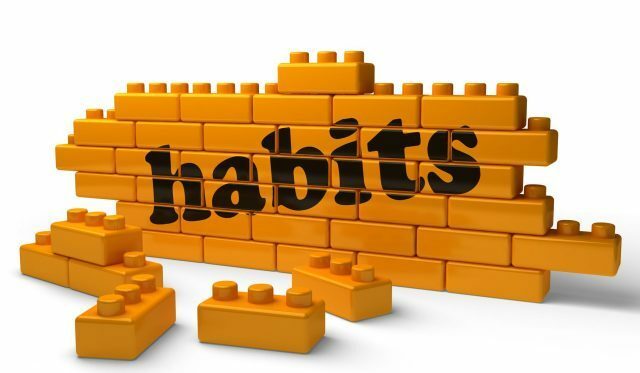 However, when people get too ambitious and attempt to adopt two habits simultaneously, their success rate drops to below 20% for either habit. In other words, for most people, sticking to one habit at a time means the difference between progressive success and absolute failure in adopting a new habit. In my experiences as a coach, this holds true for the development of almost any new practice, including exercise and nutrition habits. Of course, some individuals will be able to tackle several changes simultaneously. These individuals will likely see results more quickly. However, people who require a slower pace may find their success rate is higher in the long run, as each change may become better ingrained in their lifestyle. Either way, what is important to understand is there’s a consistent relationship between the adoption of healthy habits and the rate of progress towards your goals. If you choose to take a slower approach, that’s great; your goals will need to be more modest at first. However, don’t discount the compounding effect of this slow approach. If early habits are well timed and appropriately selected, they build on each other. You will experience powerful changes in the short term as well as the long term.